Today I'm sharing the last of the projects I made with this month's creative kit from My Creative Scrapbook. The shaped corkboard is from Target's dollar section. When I saw it I knew right away how I was going to alter it. The metal rim tags (the countdown numbers) attach to the corkboard with a little Velcro tab. This way they can easily be changed out. Lots of fun, right? 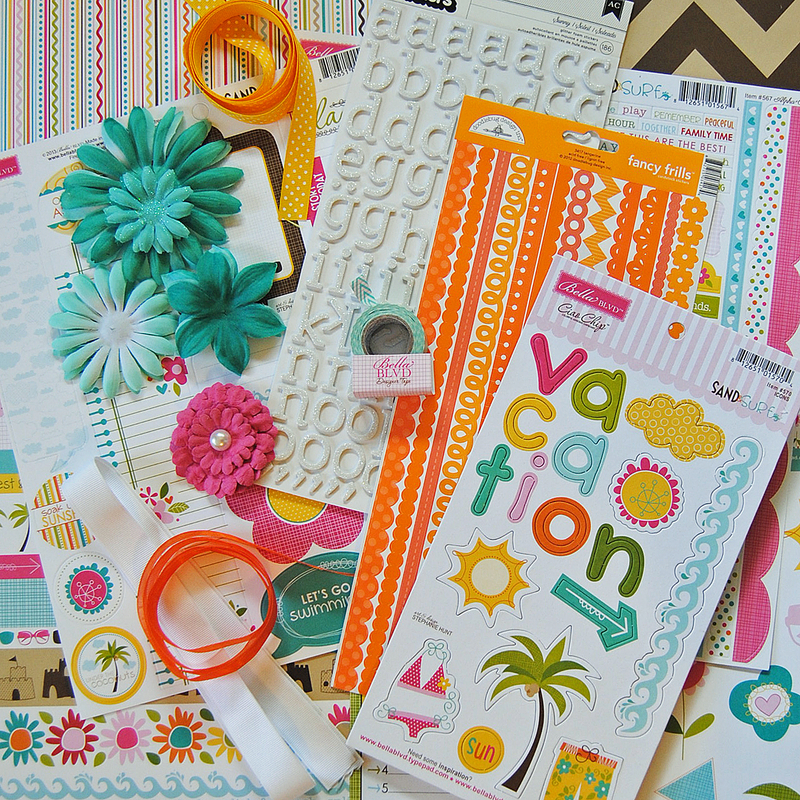 If you're looking for a kit club, then be sure to check out My Creative Scrapbook. Pam (the owner) never disappoints and there are a number of different kits to choose from, including new Project Life add ons. Ohhhhhhhhhhh this is AWESOME Lisa!!! Loving how you did the numbers and loveeeeeeeeee the palm tree!!!! Wow! how stinkin' awesome!! Love how this turned out- what a fabulous idea! Oh, this is so cute ! How cute is that. Love it Lisa. How creative of you!! Love it Lisa!! this is just too cute..love it! This is adorable, Lisa! Great job with the cork board! This is such a cute project! Now I just need a vacation to go with it! So sweet. Love all the colors. This so much fun. Target's dollar bin is the start of many craft projects. What a great idea Lisa! I love looking at those dollar deals for my projects too! So cute Lisa!! What a fun countdown calendar! Love this! What a fun and colorful project! Awesome project Lisa, very creative! Such an awesome idea and came out adorable!! Love! This is so fun! Especially for excited children so they can see how many days without asking 20 times a day. I'll have to keep this in mind when (and if, lol) I go on vacation. This is such a cute and clever idea! LOVE IT! What a fun project Lisa! -AND utterly adorable. My kids love making similar count downs for the school holidays,but of course they don't look anything like this,...LOL! TFS! Clever idea, Lisa! It looks so colorful and cheerful. This is such a cute idea. So clever! This would be perfect for Cory. He loves countdown calendars, though he prefers ones with chocolate, lol.